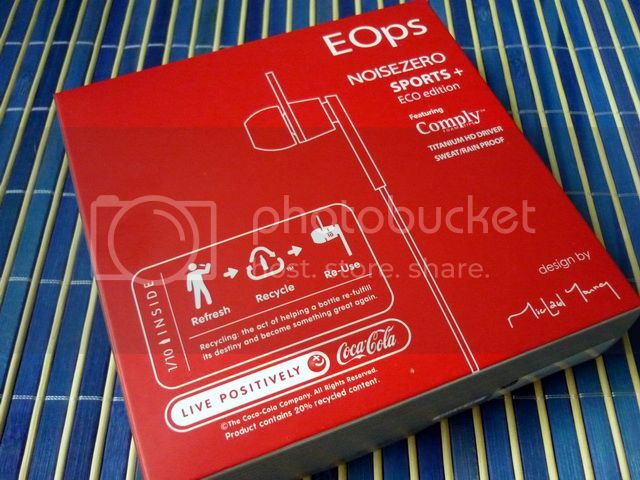 Never heard of an IEM brand called EOps? How about Michael Young? I don’t blame you, especially if you don’t usually pay attention to world of style and tech design. 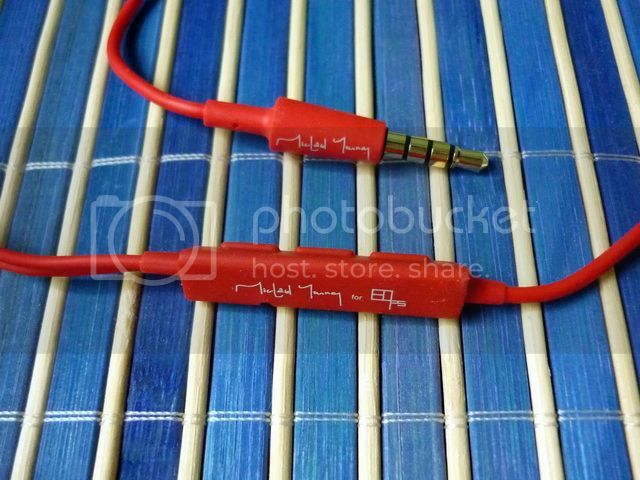 EOps is sort of a mix between tech and fashion/style design firm where they specialize in life style products, from designer headphone and speaker to backpack, and they have been working with Michael Yong, a multi award winning designer from UK, for quite some time now. They have done a few recycled materials based products/projects in the past, but this time they are partnering with Coca-Cola for a little more brand recognition. 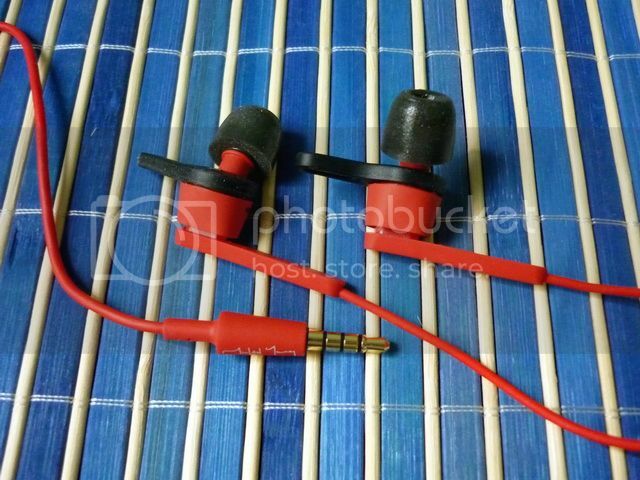 The IEM itself is manufactured using PET plastic recycled from Coca-Cola bottle and the whole product contains about 20% of recycled material. While recycling is definitely a good thing, does it actually good as an IEM? With a theme of recycling, the packaging is simple yet showing a sense of elegant. The outer box is of course in Coca-Cola’s red, and everything, from the IEM to the accessories, is packed inside the good quality big hard case. The IEM comes with a pair of Comply T400 foam tips pre-installed, and there are also three pair of different sized silicone eartips (S, M, L), plus a shirt clip. 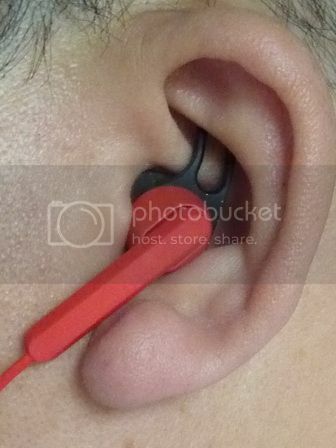 On the housing, there is a detachable ‘sportfin’ (*the extruded rubber lobe) on each side, designed to fit into the concha (of the outer ear) for a secure fit. The sportfin might look intimidating at first, but actually functions rather well because of how soft they are. However, if you are not the active type and don’t need the tighter fit, you can remove the sportfin and install it back whenever you want. Since it is for sport, the IEM is also designed to be rain and sweat proof. Even the iDevice compatible 3 buttons remote + mic (which also double as the Y-splitter) is mostly encased in a rubber sleeve that protects it from the elements. While I won’t say it is totally water proof, a bit of moisture shouldn’t be a problem at all. One thing that impresses me is the strain relief – not just on the mini jack and remote+mic, but on the earpiece as well. Those big stocky ‘stick’ where the cable exits the housing are not hard plastic at all, but over-sized rubbery strain relief. Isolation is around average with the silicone eartips, and becomes quite good with the Comply foam tips. Microphonic isn’t too bad either, but can be improved with the use of shirt clip. 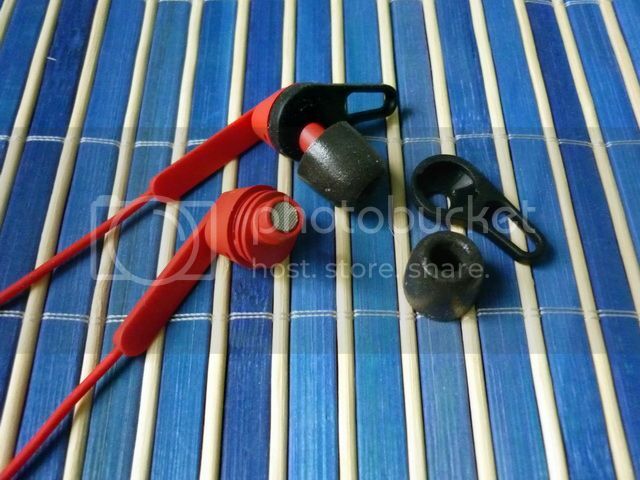 Unfortunately, due to the design of the earpiece, wearing the IEM over-the-ear is just not very practical. Overall, the IEM has excellent build quality. The most impressive part is the attention to detail, from good quality eartips to the construction of the IEM itself - nothing is overlooked. It is more comfortable than it looks. I always like titanium diaphragm more, as compared to the more common Mylar variants. In my own experience, titanium diaphragm, provided being applied right, always seem to have better sense of speed and great ability to reproduce detail. The use of titanium drivers is where noisezero Sport+ caught my attention at the first place, and it doesn’t disappoint when I finally heard it in person. The overall sound signature of noisezero Sport+ is bass dominance with relative smooth and slightly laid back mid and treble. Bass hits big and hard, but doesn’t carry excessive body or decay, meaning it hits in a fairly controlled and tight manner, comes fairly fast and leaves without any sense of drag. It isn’t the head-shaking type and, despite being classified as bass dominance, is still quality over quantity. Mid and treble are noticeably more laid back when compared to the bass, but they are not overly laid back to lose their own characters. Even though vocal doesn’t come as a particularly sweet, it is still well textured and clean. Treble rolls just a tiny bit off at the top which affects the overall airiness, but remains mostly crisp, especially on the upper female vocal. It is smooth, but not dull. Soundstage is actually fair, due to the combination of slightly laid back nature of mid and treble and the tight control of the bass. It is the kind of combination that gives good speed and impact without any aggressiveness in the presentation - so much so that I can actually sleep while listen to it (and I am not a basshead at all). 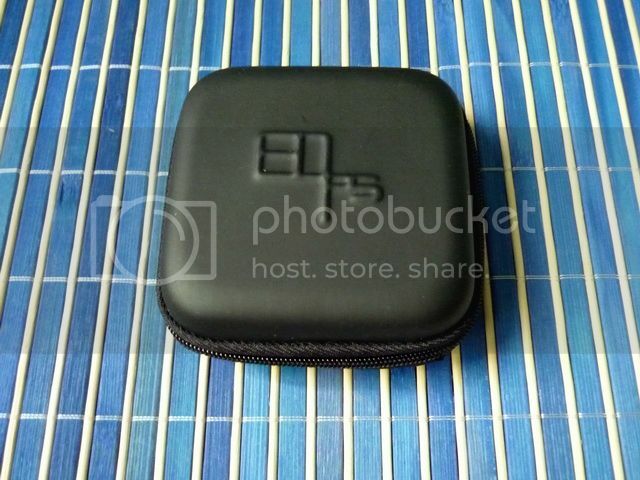 Suffice to say, it is one of the most enjoyable and easy going bass dominance IEM I have heard since Radius DDM. 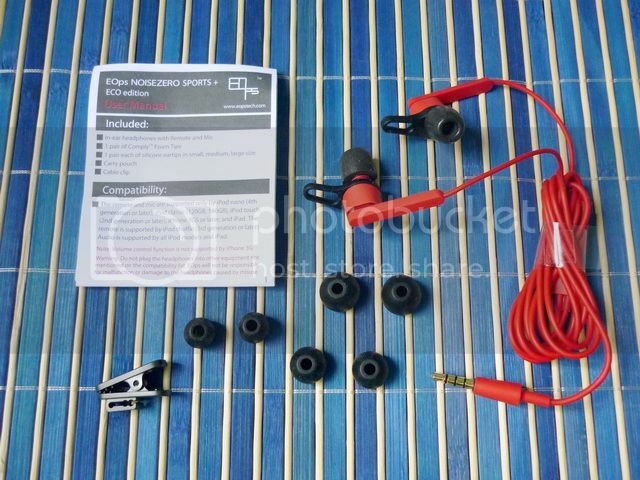 I really like the noisezero Sport+. It has a good design and really well built, plus an enjoyable sound even for a non-basshead like myself. If there is one shortcoming, it would be its general lack of availability outside of a handful of specialty designer/fashion stores. You can still get it online from some of these stores, but they are mostly in Euro and the relatively high VAT (Value Added Tax) and shipping cost do make it a less appealing choice, pushing the price tag from $105 to about $130 (before shipping fee). I’ll still recommend the IEM to anyone who are looking for something unique and price isn’t the main concern, but I would have been even happier to give it a higher recommendation if it has a wider availability and lesser price constraint. A thanks to EOps for the sample. For numeric rating, check out The List.